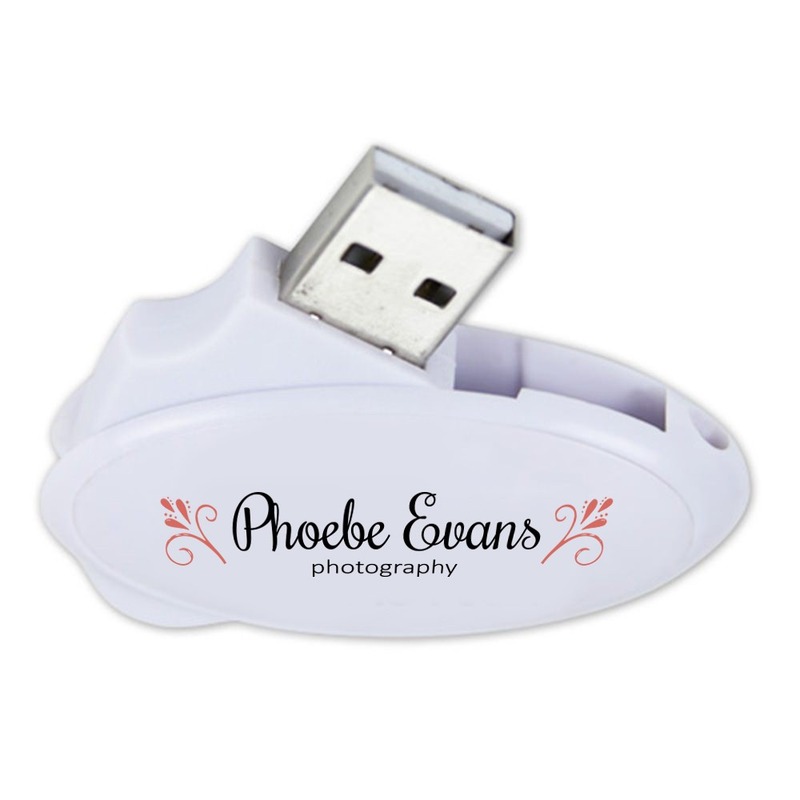 Make yourself stand out, photographers, with our Promoter custom USB drive! This USB drive comes housed in a unique oval swivel design. A favorite flash drive for photographers, it has a large imprint area on its oval shape, making it perfect for showing off your logo! It’s a capless drive with huge storage capacities and comes with a built-in key loop that makes it a cinch to hook up to your camera bag. 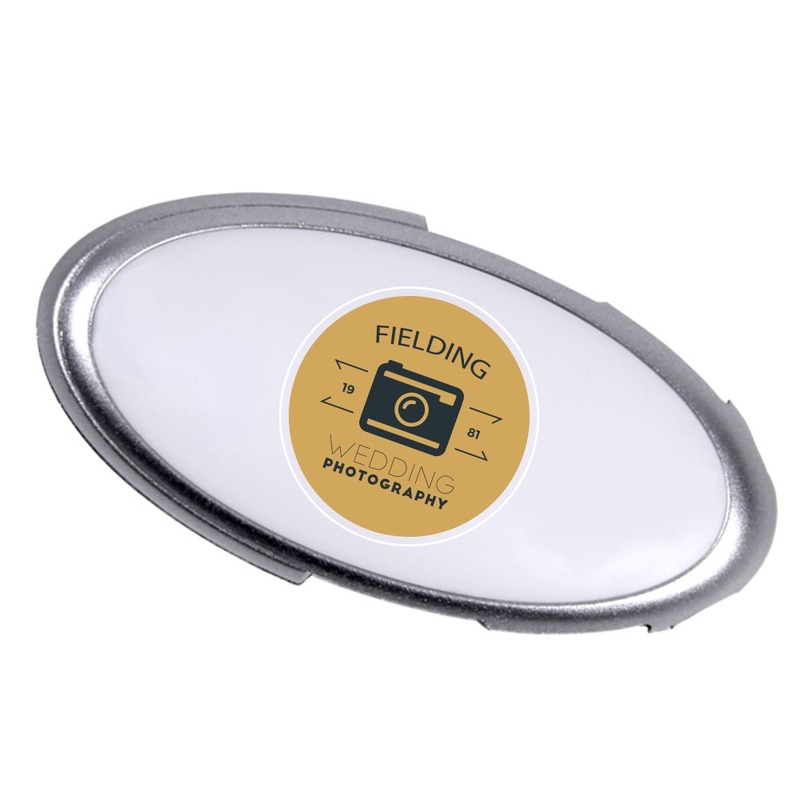 A great promotional gift for family, corporate, senior, and journalism photographers. 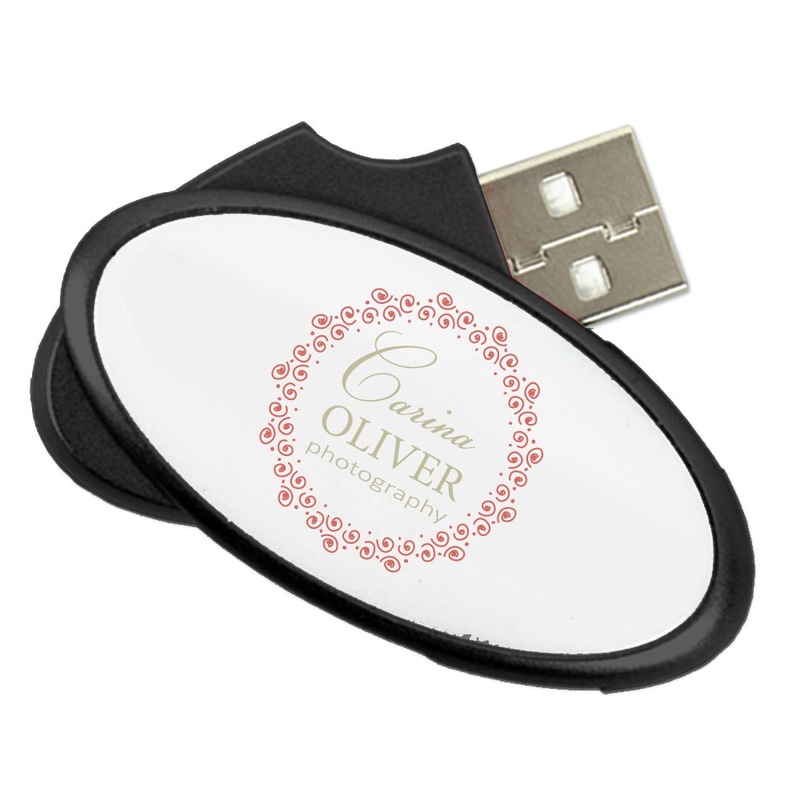 Our oval-shaped Promoter custom USB drive is a great way to get your name out there, photographers! 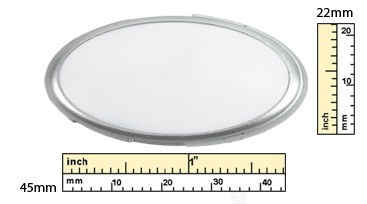 It comes with a large imprint area on its oval design which you can customize with your name or logo. It’s easy to carry around, thanks to a built-in key loop that lets you hook it onto belt loops, keyrings, or camera bags. The drive is protected with its simple to use swivel design. The Promoter has a huge data storage capacity, making it the perfect choice for backing up your photos. 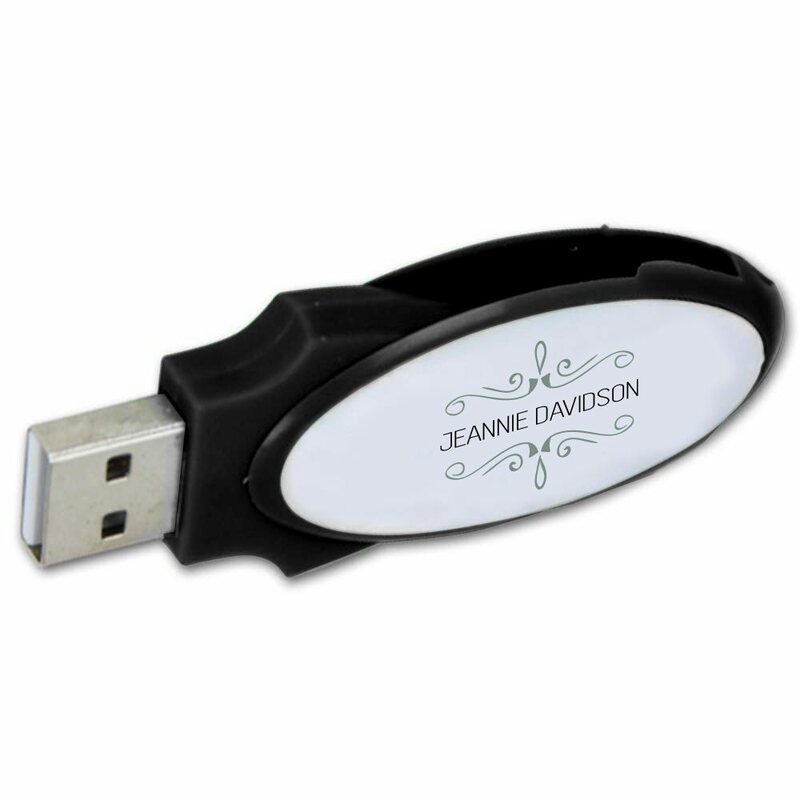 Customize the Promoter and it’ll make for a great promotional item. Hand these out at weddings, family gatherings, or corporate events and you’ll be certain to make a strong impression. They say pictures are worth a thousand words- our Promoter is worth a million words.